In this July 19, 2018 photo, House Judiciary Committee Chairman John Shott (right) presides over the committee during proceedings on the possible impeachment of one or more state Supreme Court justices. 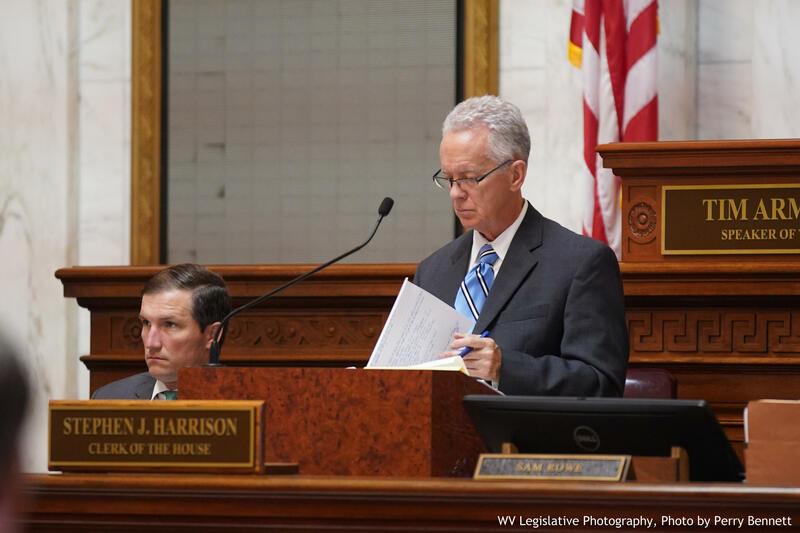 Updated: July 23, 2018 at 5:55 p.m.
A committee of West Virginia lawmakers investigating the possible impeachment of one or more state Supreme Court and an administrator for the court are continuing to negotiate the terms of a tour of the high court’s offices. The negotiations follow concerns last week over press freedoms and open meetings laws -- as the committee agreed to delay the orginally scheduled tour. 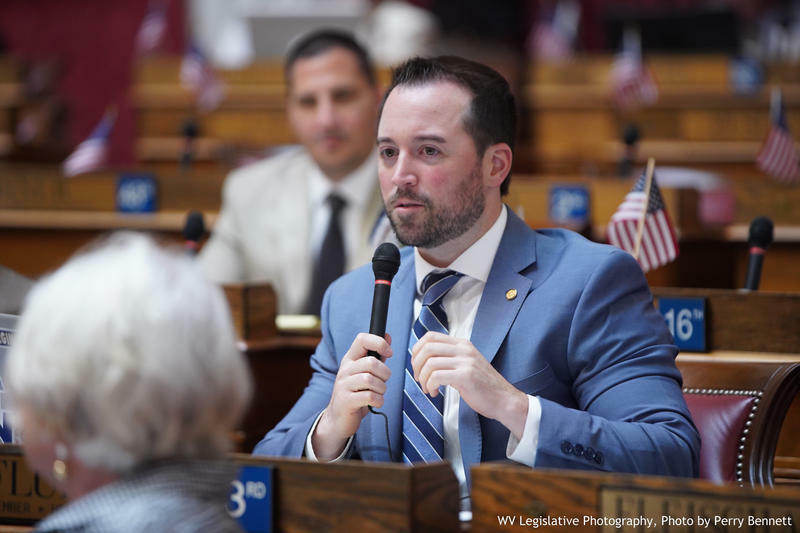 House Judiciary Committee Chairman John Shott sent a formal request Monday to court interim administrator Barbara Allen, which was hand delivered to the court. The committee is requesting a tour on Friday, July 27. Shott and members of the committee are requesting a look at "the justices' office suites, conference rooms and any additional areas on the third and fourth floors of the East Wing of the West Virginia State Capitol that were renovated between 2010 and the present day." Lavish spending by justices on office renovations has been a key focus of the possible impeachment proceedings. Allen responded to the committee’s request late Monday afternoon, but outlined some limitations on the tour, including some places in the offices that would be off limits for filming and when the tour could take place. The discussion of the tour being broken down into two groups raised questions last week of whether a quorum would be established -- indicating official business on behalf of the committee -- although Shott had stated that the tour was voluntary for the committee. Other members suggested that the committee may use what is discovered on the tour as part of the evidence being considered in possible impeachments. “As long as the media is still present, that alleviates my concern over the possible open meetings law violation,” said Del. Shawn Fluharty, who pushed for media to be allowed to accompany lawmakers on the tour. “I’m still concerned that the Supreme Court has been less than cooperative throughout this process. Last week, they sent a letter calling the work of the committee a ‘fishing expedition’ -- and this week they are making demands of the committee that go above and beyond what is reasonable,” he added. Chairman Shott said he had received word about Allen’s response from staff on his committee. “I have never considered this to be the most urgent part of the investigation. So, we will schedule it at a time that is convenient for all parties," Shott said. The court initially said that media would not be allowed to take part in the committee’s tour of the court facilities, which was originally scheduled for July 20. The committee agreed to delay the tour and make it conditional upon a pool of three reporters being granted the same access. A tour of Supreme Court offices has been delayed following concerns about press freedom and potential violations of West Virginia’s open meetings laws as some state delegates push for court transparency. Members of the House Judiciary Committee also agreed to make their tour of the court conditional upon media access being granted to three pool reporters from the press corps covering potential impeachment proceedings of one or more state Supreme Court justices.